The term brings back memories of just a couple of years ago. The article points out that the game has changed this time — that investors can’t count on flipping a property quickly and profitably anymore. Now, it’s about positive cash flow over a long holding period. I get calls periodically from investors (and wanna-be investors) who read about hardships in the real estate business and assume that it’s a disaster everywhere. As I have written many times, that is simply not true! You can see the “peak” in mid-2007, but then notice that the summer of 2008 — well into the recessionary cycle — was still strong. We have been operating below the 5-year trendline for most of the time since then, but our market has not reached “bargain basement” status, at least not yet. So, on average, purchase prices are basically flat over the past three years. The 3-month rolling average sale price in 3Q ’07 was $248,133, and increased to $254,800 in 3Q ’10 — a gain of 2.7%. What does this mean from an investor’s perspective? The linked article describes a scenario in North Phoenix that yields a 70% annual return. Using real-world data from the Austin market, if an investor buys a $200,000 property with 20% down and a mortgage interest rate of 5%, and assuming property taxes at 2.25% and insurance at $100/month, the monthly outlay is $1,334 — almost exactly what the article assumed. The difference is that in the Phoenix market that property, apparently, is expected to produce about $2,400 per month — after accounting for vacancies and maintenance. In Austin, using the 2010 average lease price per square foot, this property will bring in $1,457 per month before accounting for vacancies and maintenance. Annual gross income: $17,484. Annual total payments: $16.007. Annual cash flow: $1,477 — and again this is before adjusting for maintenance costs and income lost to vacancy. This property might break even at the end of the year, but just barely. This is far from the $13,200 positive cash flow projected for the Phoenix property. 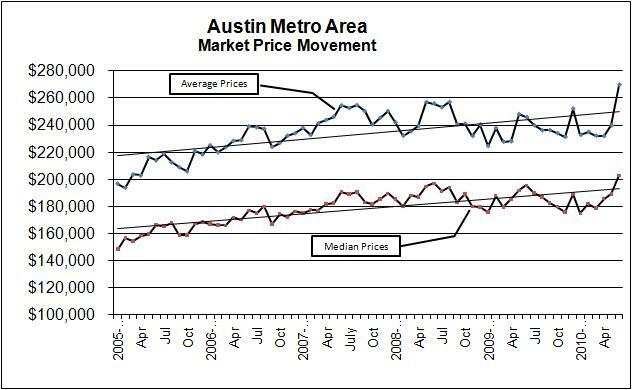 Is it possible to do better than this “average” scenario in Austin? Absolutely! Is it possible that the article writer was given (or intentionally cherry-picked) a best-case scenario? Certainly. 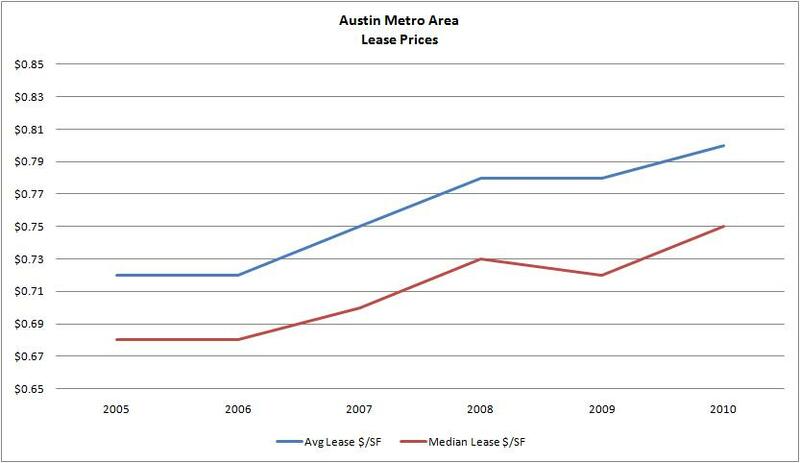 The fact is, though, that sale prices in the Austin area have not suffered much during this recession, and market rents have not gained much, so the kind of investment described in the article is very challenging here. I absolutely believe that over a 3 to 5 year holding period, market appreciation will make real estate a very good investment here, but it is unlikely to be the kind of month-to-month cash cow described in the article. This is an important part of the client education process that is necessary when I get calls from folks looking for the kind of “deal” they read about in the national press. « Home Improvement — Get Your Money’s Worth?